At some point or another, many parents of gifted children contemplate homeschooling their children. It may be when the children are still young and haven't yet started school or it may be after the children have started school and the parents realize that the needs of the children are not being met. However, homeschooling is not easy and parents should consider several issues before making the decision to homeschool. Perhaps the first consideration is temperament, of both parents and children. It takes patience to homeschool children. Keeping up with housework in addition to teaching the children can be stressful and stress can lead to bad temper. In addition, gifted children tend to be intense but some are more intense than others. Parents who get easily upset may find it difficult to homeschool, particularly if their child is one who gets easily frustrated. The next issue to consider is the amount of time a parent has to homeschool. One parent, if not both, must be committed to homeschooling and make sure that lessons are done. Homeschooling parents need to find the necessary materials and provide guidance for their children. Gifted children tend to be uneven in their development so they may need one level of instruction for math and another for reading. Children can't simply be given materials and left alone, at least not every day! Although children need to learn subjects they don't like as well as those they do like, lessons can be flexible. Children do not need to spend time each day on each subject, nor do all lessons have to take place in the daytime. For example, children can spend an entire afternoon on math or geography or the subject of their choice. Flexible scheduling can be ideal for gifted children since they often love to immerse themselves in a topic before moving on to the next. Although the flexibility of homeschooling makes it easy for parents to nurture the strengths of their child, they must also be sure to help a child strengthen a child's weaker areas as well. 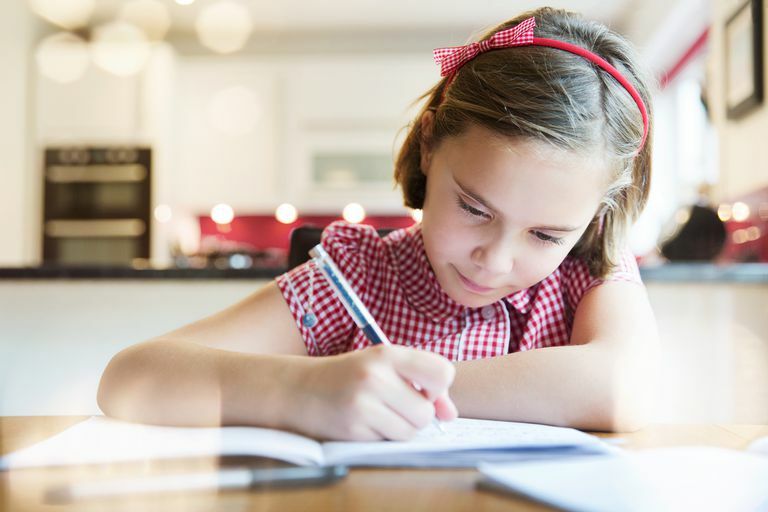 Homeschooled children can spend more time learning about their favorite topics in great depth and those topics can be connected to other subject lessons. Children who love dinosaurs, for example, can work out math problems involving dinosaurs and then write stories about them. Parents often worry whether a homeschooled child learn socialization skills. While this is a legitimate concern, all socialization need not take place in school. Children can be enrolled in community programs - choirs, theater, sports - all of which will allow them to spend time with other children. Schools should also allow homeschooled children to participate in extracurricular activities (but not usually to spend time in classes). Homeschooling co-ops also provide opportunities to socialize. Different states have different laws regulating homeschooling. Parents should learn about these laws before committing to homeschooling since some require quite a bit of time. For example, in some states, parents need to submit their curriculum and in some cases some lesson plans for approval. Other states, however, require only that parents declare that they will be homeschooling their children. Still other states require something in between these two. Parents of gifted children may feel overwhelmed by the possibility of homeschooling. What kind of curriculum should be used? Finding a local homeschooling group can be helpful. Parents can also contact high schools and colleges to look for tutors. A gifted high schooler can provide help with subjects a parent doesn't feel confident teaching their primary age children. Universities may have graduate and undergraduate students who may be interested in tutoring as well. Finally, parents need to consider whether they can afford to homeschool. If both parents work, it can be a hardship to lose one income in order to stay home and homeschool. However, some parents are able to work at least part-time if they participate in a co-op. Some co-ops are made up of parents who share teaching responsibilities. Not only does that allow parents to teach their strong subjects but it also allows them time to work or fulfill other obligations. How Do I Curate Homeschool Math Curriculum for Learning-Disabled Kids?